Caring Ambassadors Program, Inc. is a national nonprofit organization that establishes, oversees, and supports the work of disease-specific programs. The Caring Ambassadors Board of Directors provides strategic direction, governance and oversight for the organization. The Executive Director is the connection between the Board of Directors and the specific programs and staff. The Executive Director oversees program budgets, planning, financing, alignment with strategy, and performance management along with managing the operations and administration of the Caring Ambassadors offices. The disease-specific Program Directors spearhead Caring Ambassadors activities that impact patients’ lives, public awareness and policy on a daily basis. The Program Directors are constantly working to fulfill the Caring Ambassadors mission through meeting needs of the communities they serve. 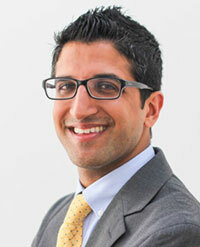 We are proud to announce that Navin Vij has been honored by NMQF for the 40 under 40 leaders in Health Awards! The Caring Ambassadors Program Board of Directors provides strategic direction, governance and oversight for the organization. We are extremely grateful for the commitment and dedication of our Board of Directors.